Simulated Ethics Serious 2D Game | Designing Digitally, Inc. Designing Digitally, Inc. was presented with documentation from a non-disclosed client’s human resource department. The HR department of this large company was faced with a limited budget due to the economic situation that was affecting their organization. This lead to a budget shortage for travel to office locations throughout the nation to deliver instructor-lead training on situational harassment topics for the company. 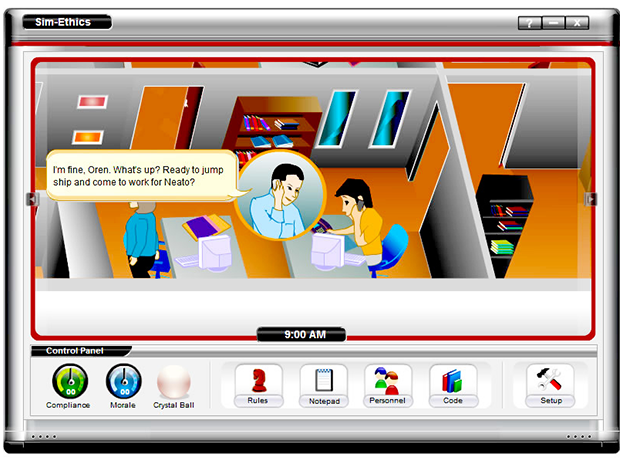 After evaluating the client material, it was determined that the solution was to create a 2D scenario web-based training module that delivered content in an intuitive and effective way. 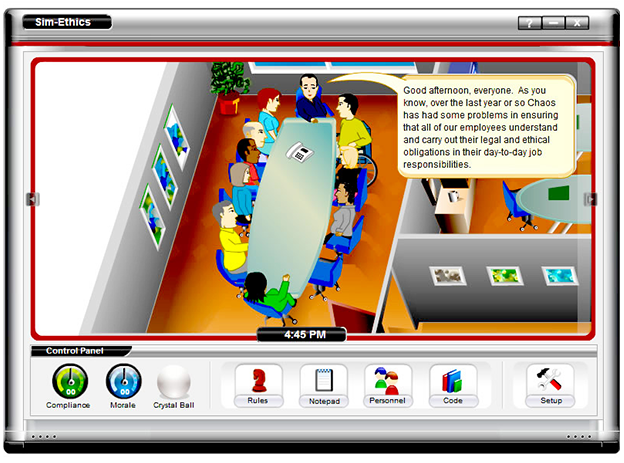 Designing Digitally, Inc. developed the module as a serious-based game that allowed you to view situations as a 2D animation, providing the scenario from both the “offender” and the “victim” viewpoints. 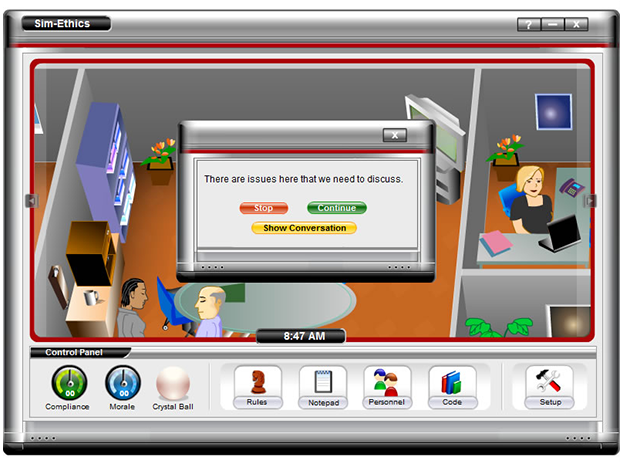 Once the learner was presented with the scenario, they were prompted with options which allowed them to change the outcome of the situation. 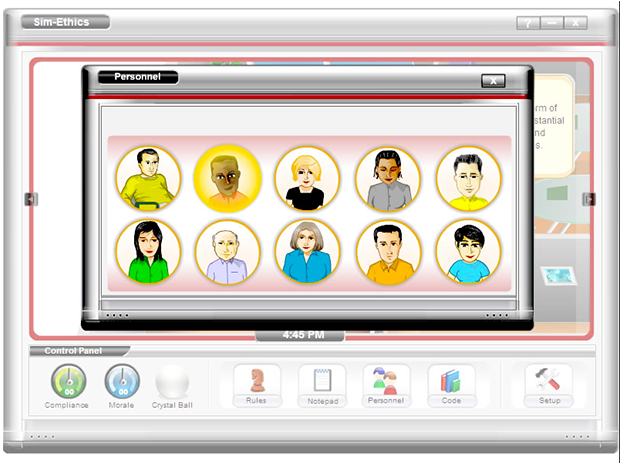 The system also prompted the learner with questions on how to handle the given situation and what to do when confronted by this person in the future. This development was created as a web-based training module using technology standard tools that allowed them to implement this into their company learning management system using SCORM. This module was programmed to track the users progress, bookmark where the user left off, and to track their assessment score to ensure the staff at each location was effectively trained on the Human Resource policies. Designing Digitally, Inc. was able to work with the client’s LMS team to implement this module into their learning management system so that each employee at any given location is able to log into the web-based interface and start or continue the course where they left off. This course was developed as a serious-based game to provide a more engaging, educational, and entertaining solution for the client. The audience of this module has found that this module is intuitive and provides the content material needed to effectively know the policies and procedures for harassment in their workplace. 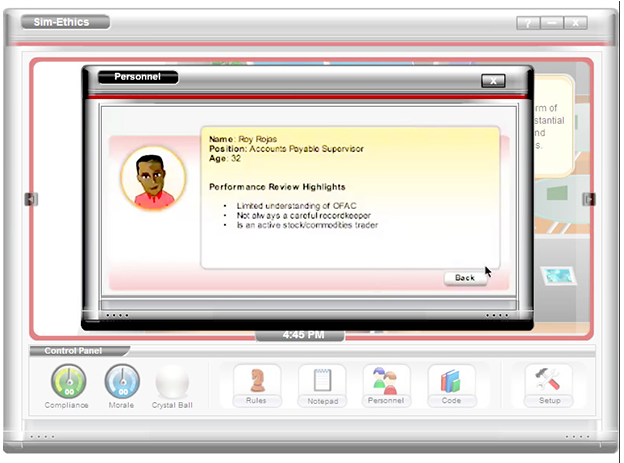 This creative serious-based game was delivered to over 20,000 employees in various states via the web. For security reasons, please answer this math question in the box below: 10 + 10 = ?